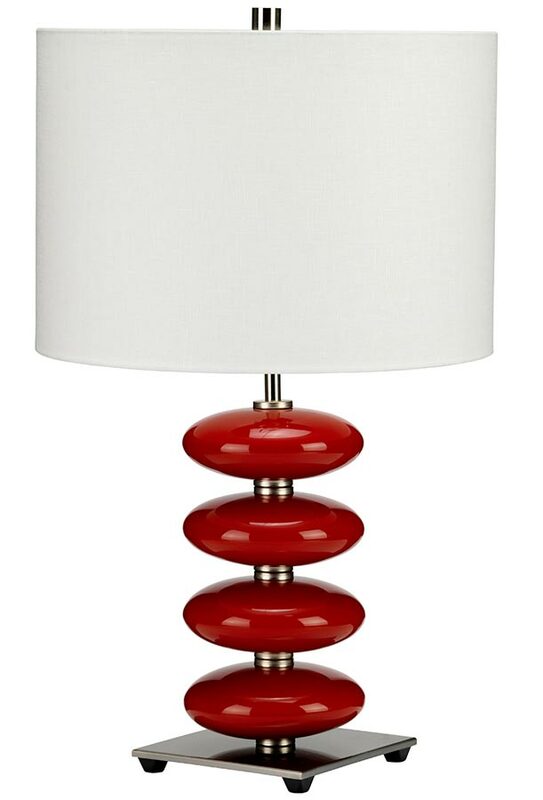 The Elstead Onyx 1 light table lamp with red ceramic orbs and white shade features a square base on corner feet and stem in polished nickel, with red glazed ceramic orbs stacked on the stem. Supplied with a white faux linen 14″ hard backed drum shade and convenient inline cable switch. 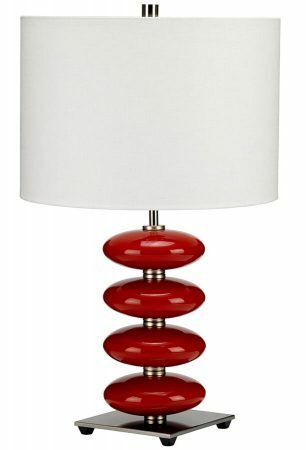 A classy table lamp that looks great in traditional, rustic or modern rooms. 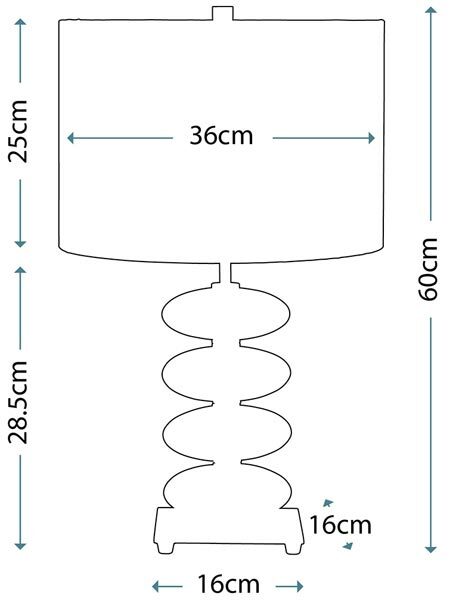 Also available with black ceramic orbs and black shade, please see below.